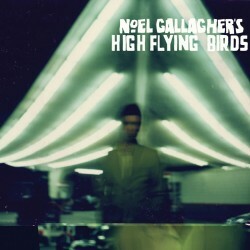 We are a few weeks away from the release of the album Noel Gallagher’s High Flying Birds. The words highly and anticipated would be used here but you can take that as a given. When Noel’s former group imploded so publicly and the Brothers Gallagher went their separate ways everyone waited to see what roads each took but the writing was already on the wall; Liam carried on driving in a new motor made of trusted parts. It’s good that they continued, there is an audience out there for them. There are some that will like both Noel’s and Liam’s offerings, some that like either and some that like neither. The latter lot probably don’t think Oasis did anything remotely noteworthy after 1995.